سواءً كنت مسافراً بغرض السياحة أو العمل, Heritage Court Motor Lodge هو خيار عظيم للإقامة خلال زيارتك كايكورا. يقع الفندق على بعد 2.0 Km من مركز المدينة، ويؤمن الوصول إلى أهم مراكز المدينة. كما يمكن الوصول بسهولة إلى وول ووتش كايكورا, Southern Paua Shop & Factory, كايكورا ديسترك. إن Heritage Court Motor Lodge حريص على توفير الراحة للنزلاء، فلا يوفر الموظفون جهداً في تقديم أفضل الخدمات وضمان حسن الاستقبال. يمكن لضيوف الفندق الاستمتاع بالميزات التالية على أرض الفندق: واي فاي مجاني في جميع الغرف, تخزين الأمتعة, واي فاي في المناطق العامة, صف السيارات, خدمة الغرف . استمتع بوسائل الراحة الراقية في الغرف أثناء إقامتك هنا. بعض الغرف تتضمن تلفزيون بشاشة مسطحة, قهوة فورية مجانية, شاي مجاني, بطانية كهربائية, بياضات لمساعدتك على استعادة طاقتك بعد يوم طويل. يمكنك الاستمتاع بالأجواء المريحة التي تقدمها ملعب للأطفال, حديقة طوال النهار. استمتع بخدمات لا يعلى عليها وعنوان ذو اعتبار في Heritage Court Motor Lodge . The room is clean and the beds were comfortable. Great kitchenette with clean utensils. Only issue I had was that there were not enough packets of shampoo for our family of 5. Motel in a good location, only 10 min from South Bay. The motel is clean and tidy. The kitchen is well equipped and we cooked dinner there. The location is good, not too far from the South Bay and it’s only 8-10 mins drive from the motel to the pier for fishing. We love the mountain next to the motel, it’s very beautiful with snow on top of it. In the morning we left early and they have a drop box for us to drop the key for checkout. 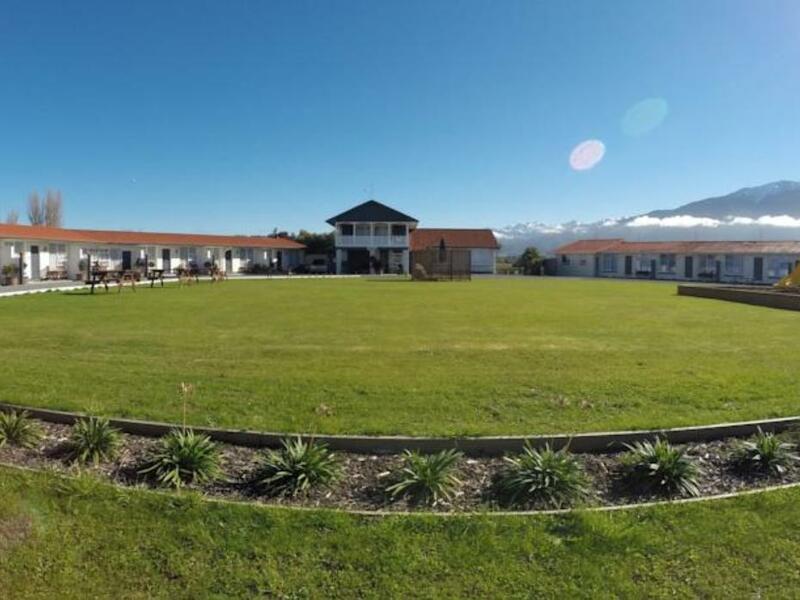 We chose this motel as we had stayed in Heritage motels in Queenstown and Hanmer Springs and there was very little choice left in Kaikoura on Saturday night. Compared to the other Heritage hotels this is quite a step down and I especially missed the quality toiletries eg shampoo and moisturiser etc. 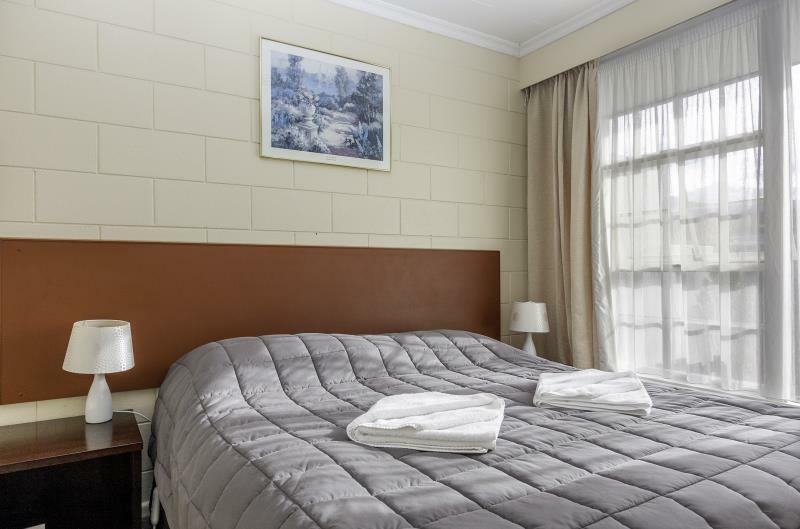 The room was very clean and well equipped, spacious and easily accessed. The manager was very friendly and personable. The location was close to services and township. 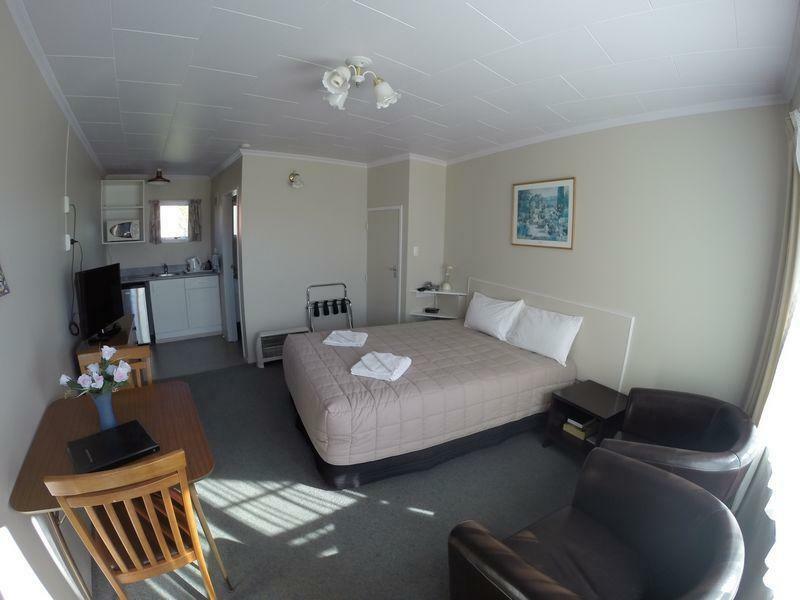 However considering we paid the same amount to stay at Hanmer Springs ( on a Thursday) there was a huge difference in the value for money for us at this time. Pros - clean, fantastic sunset behind motel. Cons - credit card deposit (without amount) is charged at check-in but even after check out the deposit is being held until however long it wishes... a very unfair rule among many. Other rules include no hang dry of hand washed clothing in room but laundry room us opened only between 9:30am to 7:30pm. For some reason the motel thinks you will spend time during the day not having fun outside but stay in the laundry room to wash laundry. Also you cannot cook seafood in the kitchenette but Kaikoura is a seafood place. And you have to wash all dishes very clean otherwise they charge you. Very ridiculous rules making it an uncomfortable stay. It's a nice and simple place to stay in, it has all the necessary items for cooking. A great stay overall! Easy to find on drive in from North. A short drive to township. Eateries and takeaways nearby. No complaints except maybe an indoor lounge chair! We arrived pretty late, after 8pm and was met with a warm reception by the staff. We were checked in promptly. Our room was clean and well tidied. A very comfortable place to be in. Rates were more than reasonable, and we will recommend it to anyone who is looking for accommodation in this area. Great host Don, super welcoming and friendly. Even had a free 12pm early check in. We were in unit 1 next to the road, but the noise didn't bother us once we were inside. So clean, with large LCD TV and fully equipped modern kitchen with tea, coffee, and milk. Spacious 2 bedroom unit, with a double in one room and Queen in the other. Lovely linens and towels changed daily. We will definitely be back. For Mountain views you need to request rooms 9-6 as they have a lovely back terrace too. The motel is good and clean. The lady who runs the motel and her husband are very nice and helpful people. I had heavy luggage, and they gave me a ride, so I could easily manage to get the bus, what was much appreciated. Clean, comfortable and spacious room. Free parking on the property. Wi-fi is unlimited. File in the room has plenty of information on activities and eating places. Overall good value for money. Suggestion to owner: There's no need to change the soap bar during housekeeping, but 1 packet of shampoo is too little. Providing fixed bottles of bath soap and shampoo might be better. Highly recommended. We arrived mid-afternoon and spent a relaxing hour or two sitting in the sun in front of our unit and chatting with our neighbours. 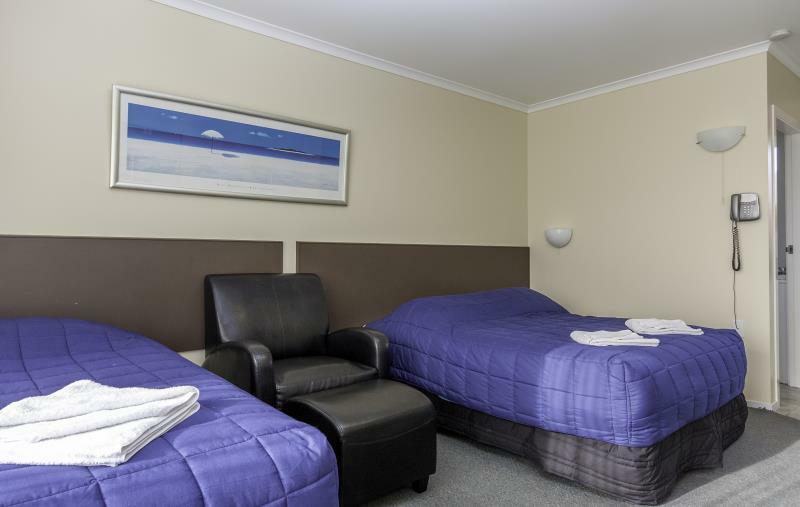 In an excellent location, handy to an excellent bar and arestaurant, close to the sea and with magnificant mountain views, this motel is north facing with comfortable rooms. The surrounding town has adaquate facilites for tourists and the sea provides the added attraction of seals bathing on local beaches and somtimes whales can be spotted from highland veiwing lookouts. Agoda is to be congratulated for adding this gem to their portfolio.nd chatting wit our neighbours. Close to all activities and clean with warm heated beds. Good for 1 day stay but not longer periods. Staff was Kind & helpful . The room was clean . Especially the shower . High pressure that you can enjoy the shower time !! Highly recommend people stay in here . Stay in 2 bedroom unit, place is clean & well kept. Distance to 🐋 watching is near. Do try the seafood you will not regret.